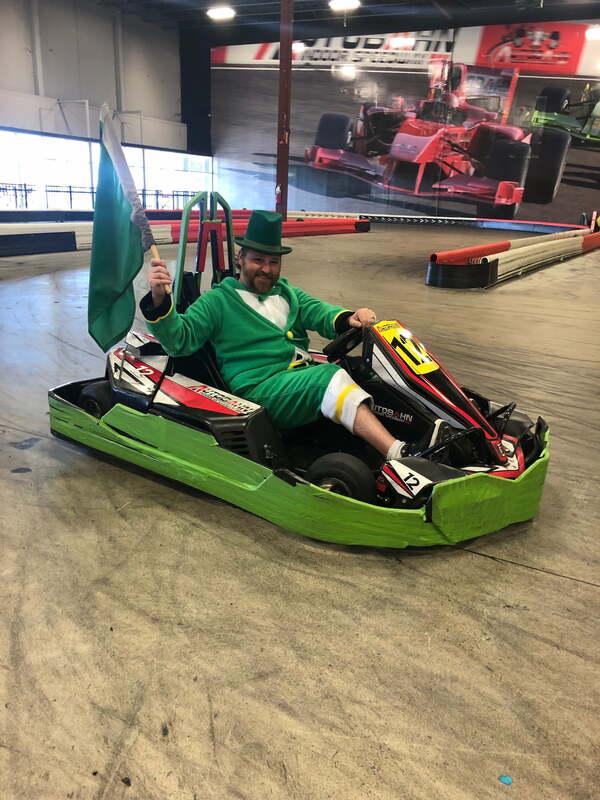 Press Release (ePRNews.com) - MEMPHIS, Tenn. - Mar 15, 2019 - ​May the wind always be at your back when you chase the Leprechaun from 10 a.m. to 10 p.m. on St. Patrick’s Day, Sunday, March 17, at Autobahn Indoor Speedway & Events in Memphis, Tennessee; Baltimore, Maryland (BWI and White Marsh); Tucson, Arizona; Birmingham, Alabama; Washington, DC area (Dulles and Manassas); and Hadley, Massachusetts. With a wee bit of luck, it could be a big one, with prizes including T-shirts, free races, and race packages. Winners also will get to pose with their vanquished Leprechaun, sharing their victory with friends and on social media. “It’s not easy to catch a Leprechaun. They are tricky, skillful and fast. That’s what makes it so rewarding, along with the great prizes,” says Memphis General Manager Josh Mayo, who will not divulge his role in the day’s mischief. With Italian-made, Formula 1-inspired karts that can reach speeds up to 50 m.p.h. that race around the fun and challenging LeMans, Monaco and Spa Circuit courses, Autobahn Indoor Speedway has become one of the most popular entertainment destinations. The speedway utilizes zero-emission electric karts that accelerate faster than their noisier, gas-powered counterparts. The company provides racing technique instruction to newbies and offers competitive leagues to more seasoned drivers. There are even Junior Karts (with a little slower speeds) suitable for the younger crowd if they are at least 48″ tall. Since the speedway is indoors, the weather is not a factor. The indoor facility is heat/cooled and kept at a comfortable temperature year-round. Sodas and snacks are available for refreshment between races. Autobahn Indoor Speedway offers the popular “Arrive & Drive” race format, assigning racers to one of the upcoming races and requiring no reservations. Up to 10 drivers will compete in each race to set the fastest lap times. Autobahn Indoor Speedway is a fun and exciting place for company outings, social groups and birthday parties. Various group race packages are flexible, but a custom package can be arranged (including private full facility rentals). Groups have reserved race times, exclusive use of the track during their races and they can compete individually or in teams. Who raced through the indoor Autobahn. He’d share a wee bit of gold. With each victor hailed on the Jumbotron. Autobahn Indoor Speedway is a premier indoor karting center. The European style go-karting takes place in 11 state-of-the-art facilities from Massachusetts to Arizona. The Grand Prix style provides a real racing experience. Racers take to the tracks in unique, high-speed electric Italian pro-karts. These F1 inspired karts reach speeds of up to 50 mph. The attractive, upscale facility has the latest technology and is ideal for corporate events, team building, fundraisers, and competition racing events. For more information, visit: www.AutobahnSpeed.com.